Spacious room featuring two queen beds and desk. Spacious room featuring king bed and desk. 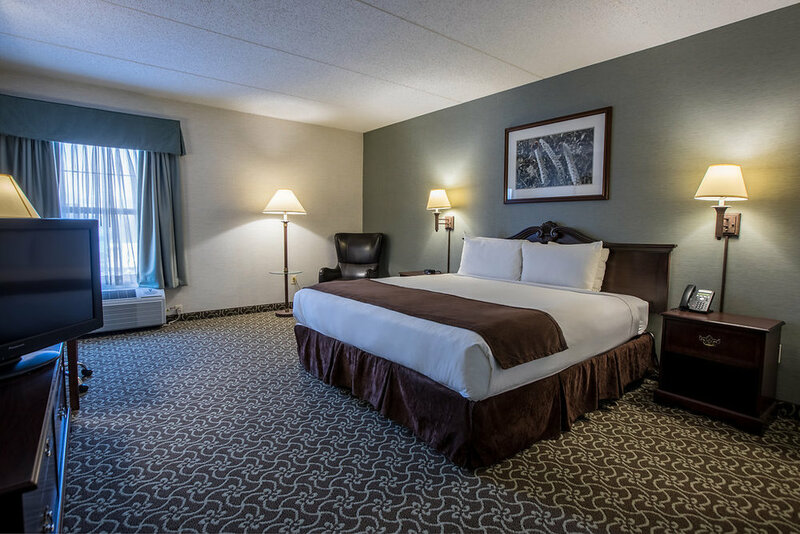 Spacious handicap room featuring king bed, bathtub handrails and desk. Perfect for short- and long-term stays. Featuring a king bed, refrigerator, range top, microwave, toaster and open floor living room with TV and pull-out sofa. Featuring a king bed, pull-out sofa, microwave and mini-fridge. Featuring two queen beds, microwave, mini-fridge and separate living room area with TV and pull-out sofa. Perfect for short- and long term stays. Featuring a king bed, refrigerator, island countertop, range top, microwave, toaster and open floor living room with TV and pull-out sofa. 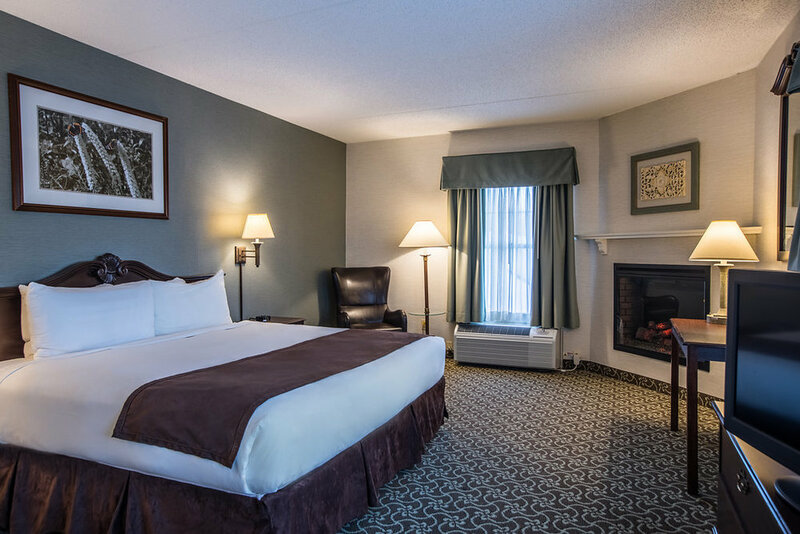 Spacious room featuring king bed, electric fireplace and desk. 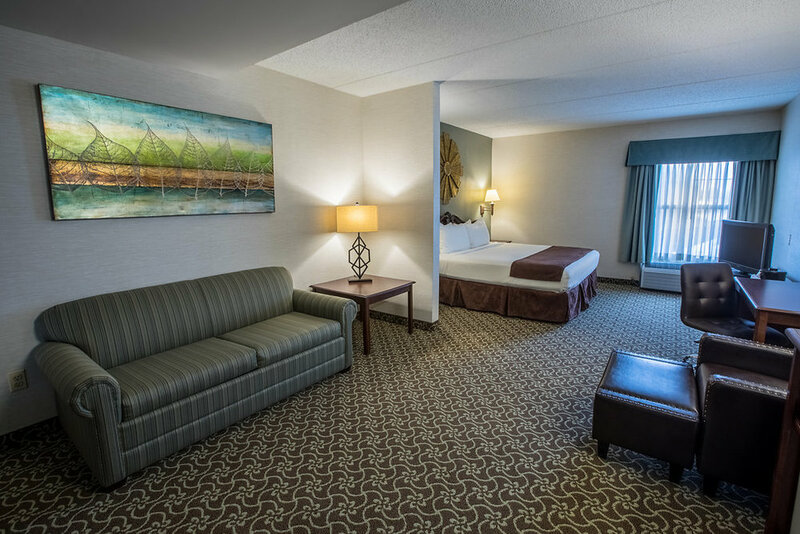 Spacious suites featuring king bed, microwave, mini-fridge and separate living room with TV and pull-out sofa. Spacious suite featuring king bed, microwave, mini-fridge and separate living room with TV and pull-out sofa. D. Hotel Suites & Spa is designed for your maximum comfort and convenience. Relax in our heated indoor pool and hot tub, enjoy an invigorating workout in our fitness center or visit our in-house D. Hotel Spa. 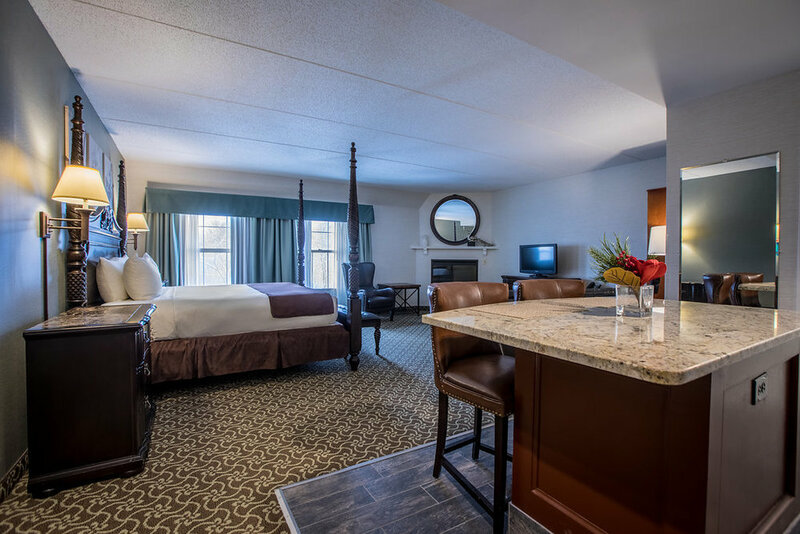 You can also stay connected with free high-speed Wi-Fi internet service, enjoy a first-rate complimentary full hot breakfast every morning and much more!